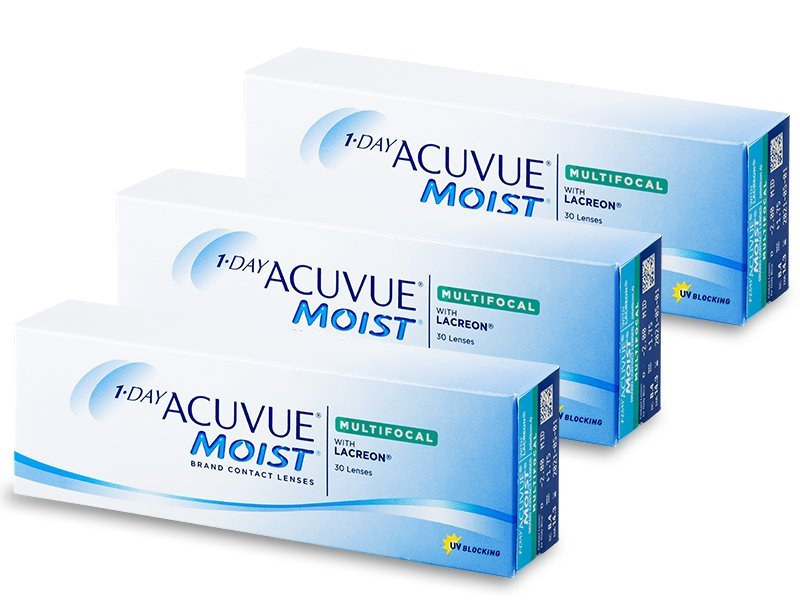 1 Day Acuvue Moist Multifocal are daily contact lenses with an optimised design for users with presbyopia. The lenses have a unique back-curve design that ensures the perfect fit on the eye. Package contains 90 lenses. 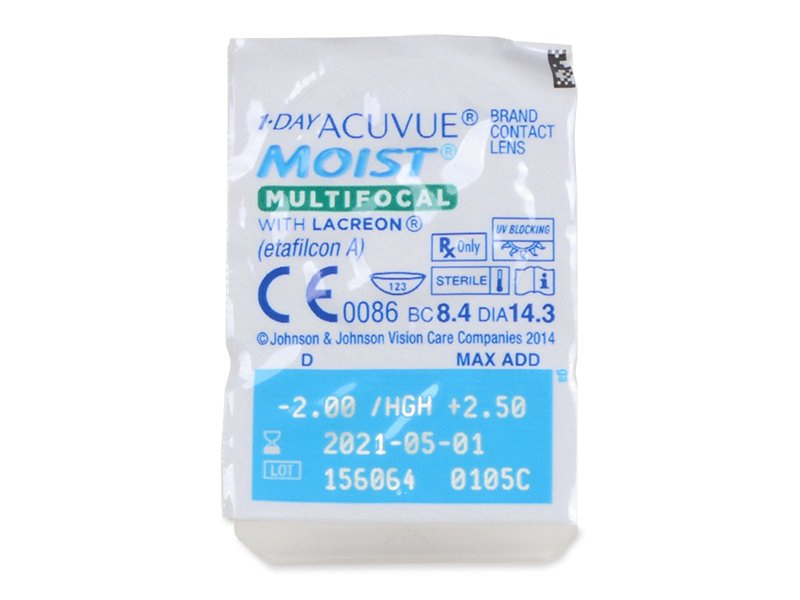 1 Day Acuvue Moist Multifocal by Johnson and Johnson are now optimised for users with presbyopia. The design allows the lens to cover different pupil sizes for optimal vision under any conditions, all while maintaining a stable position on the eye. The unique back-curve design ensures the perfect fit with no movement. Also available in a box of 30 lenses. Comfortable and good vision both near and far. They’re great on sunny days when I’m driving and I need to wear sunglasses. Feel stable on the eye and I can go about my day without worrying about them moving about. Sometimes there’s a bit of dryness towards the end of the day but that’s probably due to the office I work in. Hi, Unfortunately, we do not deliver to Cyprus at the moment. However, we are always expanding our markets, so hopefully we'll have more optimistic news for your in the future! My prescription is +1.25 mid. max add + 1.75 on ACUVUE multifocal 1 day. When I put the prescription on your web sight it comes up with a range between. + 1.50 - + 1.75 on the max add is this the same . Hi, Sally, Please contact our customer service department. I have been using Acuvue for Presbyopia two weekly lenses for some years but can’t find them on your list Have you now changed the name to Multifocal?